Joel gets to the point at approximately 25 minutes into the interview if you want to skip ahead. At 35 minutes in he talks about the “Food Sovereignty Movement”, (1) starting on US soil at least, up in the state of Maine. So on the federal level, I think it’s getting worse. Now, I think what’s happening on the local level, the other thing that’s a pushback that’s happened, is what’s now known as the food sovereignty movement. And that started in 2015 maybe, two or three years ago in Sedgewick, Maine. And that was a township that passed a half page food sovereignty law that said, in our township if a neighbor wants to do food commerce with another neighbor it’s none of the governments business and no bureaucrat has to be involved. So if you want to come to my house, look around, smell around, and operate as freedom of choice, as voluntary adults, as consenting adults – and I’m using very strong language here – to practice your freedom of choice, then two consenting adults should be able to engage in food commerce without a bureaucrat being involved. Well, very quickly six other townships in Maine took up the mantra and passed the regulation, the law, as well. Then, of course, Maine pushed back and said, no, you can’t do that. And it continued to build in Maine until finally the legislature and the governor passed it and said, okay, if a township wants to do that it’s okay with us. Well, then, the USDA quickly responded and said we’re going to pull all of your federally inspected slaughter houses and food processing plants. Maine, you won’t be able to sell to anybody because the federal government is pulling out if you do this. Then the governor called an emergency session. They went back in, and it’s still being negotiated. It’s a big hoo-ha. Believe me, there are a lot of us around the country that are watching what’s going on in Maine, and we’re very interested in it. And if that were duplicated around the country it would almost be like local food secession. There’s a place to say, at some level, we should be able to engage in food commerce at our own risk and our own freewill. And that is definitely gaining momentum. 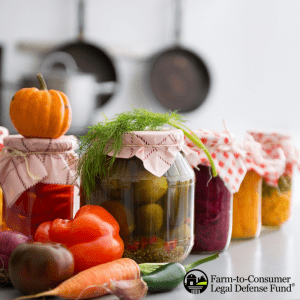 We see it in the expansion of the Farm-to-consumer Legal Defense Fund, which is essentially a home-schooled legal defense association for food. In two years, they’ve grown from a network of collaborating attorney’s in something like 5 states to collaborating attorneys in 40 states. That’s phenomenal growth for a little non-profit organization. And so as attorneys find out about how little farmers get treated by SWAT teams that come in and confiscate their food and different things like that, there’s a backlash to it. And now the beauty of the internet is that these things can be documented on iPhones. People can see the bureaucrat, the SWAT teams coming in and throwing out the perfectly good food from a freezer. They can see the raid; they can see people’s rights being violated. And so there is definitely a backlash. It’s a food freedom backlash in the country, and I’ve been an advocate of this all my life. I’ve always said when Americans become as interested in defending their right to acquire the food of their choice as they are the gun of their choice, we’re going to have a whole different food paradigm in this country. Rogue food is on the rise. One of the most successful examples in the in country is in Louisville, Kentucky. It’s a food club that operates essentially under the same kind of a charter as a golf country club. It’s not public, it’s completely private. If you’re not a member you can’t go play in that club or on that course. And so what this is is a dues paying, nonpublic, members-only food exchange model. And these guys in Louisville actually have a store front and everything in there is illegal. I mean, they got everything from raw milk to homemade pepperoni. I mean, it’s all illegal. And nobody can touch them because it’s a private club. My name is Joe Tittiger , and I live in Webster County Missouri. I moved to this area 7 years ago, fleeing the insanity of urban living in Fort Myers FL. A local organization, “Well Fed Neighbor“, ( I am sure many of you were familiar with them) was sounding the alarm back then, that even in rural MO, we were not food self sufficient. Certainly not to the degree that we were 100 years ago. That was an important message. The problem is where they stopped. Where they failed to go. That is where Food Freedom Ministry see’s its future. What good is raising local food, when the farmer/home-owner/artisan food crafter can’t sell what they produce to their neighbors and customers? To get to the point… I, like many others have discovered that we have a thick web of illegitimate laws, that try to prevent us from exercising our God given rights, when it comes to “food freedom”. What these laws do is make it a crime to earn an honest living, from a small farm. But of course you can always (IF you can afford it) buy the permission to do things in the “homeland”, and pass that cost onto your customers, thus often pricing your product out of your customers reach, if reaching the financially challenged is your mission. Like Martin Luther King, I have a dream….. I dream of a free country where one can obtain healthy, affordable food. As things now stand we are all forced to consume only foods that the government food monopoly provides. Or more accurately “allows”. It is my contention that very little of this food is safe, it is certainly not accurately labeled, as far as ingredients, nor it’s possible health benefits. 1 2 One can not even trust the “Organic” label 1 2 as it has been co-opted by big agriculture, and is often misleading and inaccurate. As a quick example of not being able to obtain healthy food, through the government food monopoly, let’s look at supermarket “heavy cream”. It is impossible to find cream that has not been ultrapasterized 1 and it’s proteins denatured lowering the nutritional value of the food, and quite possibly making the proteins harmful to the human body. All of the beneficial and probiotic bacteria in the cream are also killed. Various beneficial enzymes are destroyed. Finally they put the cream in a BPA lined paper carton. This frankenfood is the only form of heavy cream that is allowed in the US food monopoly. Welcome to “the land of the free”. OPINS Coop is an organic coop working in the Midwest region with farmers who grow fantastic grains. OPINS coop is contacting you to offer these healthy, nutrient dense grains that are locally raised to your members. The grains OPINS markets are certified organic, third party tested to ensure high quality. Hard Red Winter Ancient grains- Emmer, Eincorn, Turkey Red wheat, as well as spring grown grains, rye, four colors of food grade corn and food grade soybeans are all among our inventory. Add yellow peas to the mix for protein and no soy concerns. We aim to provide you with 5, 10, 25 or 50 lb bags of whole wheat berries or other grains for home milling. Flour needs can be arranged. The process of oxidation after milling can decrease flavor components. Home milling can be a positive for flavor and quality, leading to exceptional flavors in baked goods. If home milling is not an option, we work with a small, local organic milling operation that can provide quality. If your members are interested in a sample of the grains that we offer, please contact us. We are excited to get to know you and provide you with the best local grains to feed your families. We can also work to provide grains for a baking class if there is interest and you have a baker willing to teach their skills. Rather than spoil this documentary, I will just link you to the newly released Documentary “BIOSLUDGED” produced by Natural New’s Mike Adams. 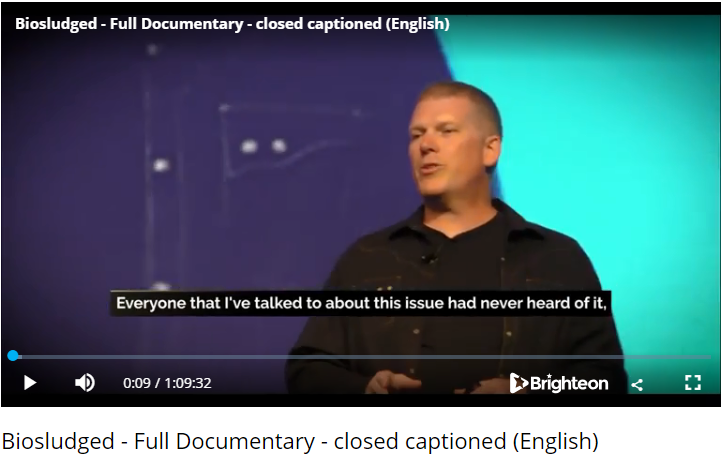 Biosludged uncovers the astonishing science fraud being carried out by the EPA to legalize the mass pollution of America’s farm lands, school playgrounds and city parks with heavily contaminated industrial waste and human sewage. You may download the original film and post it to other video sites, provided you give credit to BrighteonFilms.com and do not alter the film. You may also burn this full film to DVDs or blu-rays and give to others, but you may not charge for it. Please share the full film on popular file sharing sites and torrent sites with our blessing. This is a dynamic, and I stress dynamic, list of resources that you might want to investigate. I must admit that I have a lot of learning to do. NOTE TO SELF: FFM needs to get a mailing list for this site. I like mail chimp but $ is the issue. I wanted to announce that Food Freedom Ministry now has a Real.Video channel. I hope that you find the material there educational. At 35 minutes in he talks about the “Food Sovereignty Movement”, starting on US soil at least up in the state of Maine. Vaccines are a controversial topic. Some say that they are effective; others disagree vehemently. Dr. Tom Cowan, a holistic physician, author, and speaker, sees both sides and sheds needed light on this difficult topic. Basically, Dr. Cowan postulates that vaccines do indeed reduce the likelihood of our contracting various illnesses such as whooping cough or measles, for example. However, he explains why this short-term help has long-term consequences for our health—leading to autoimmune disorders and other chronic conditions. Today’s conversation includes a discussion of what best boosts our immunity to disease, how vaccines (& illness) work in our bodies, why vaccines must include adjuvants (toxic ingredients) to be effective and what holds the most promise for long-term positive health outcomes. Visit Dr. Cowan’s website: fourfoldhealing.com. Learn more about the Weston A. Price Foundation (or make a donation) here: westonaprice.org. Take our listener survey here. 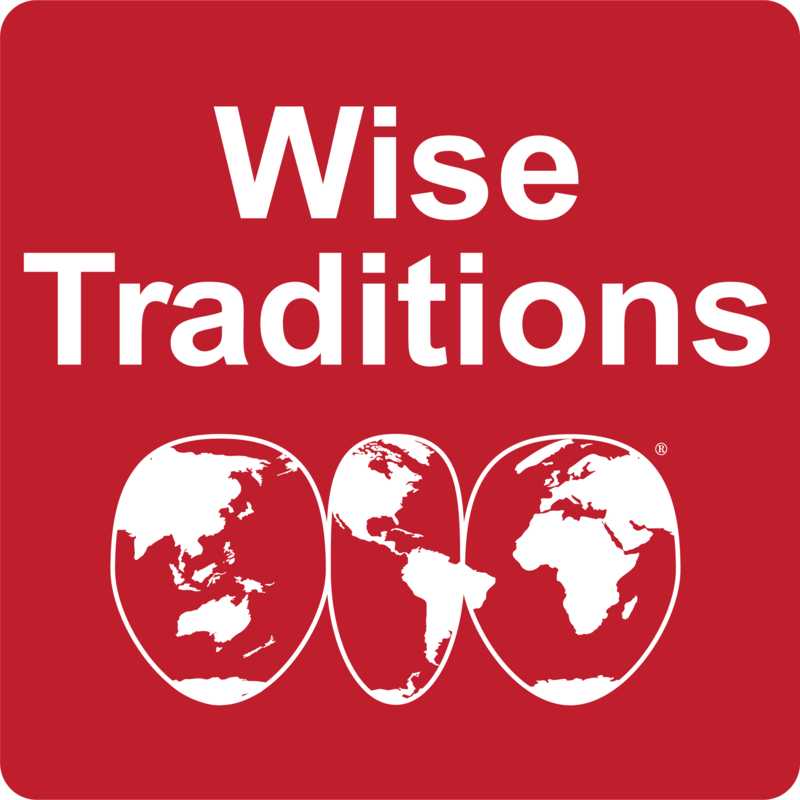 And check out our sponsors Vintage Tradition & Ancestral Supplements. She IMHO is the worlds leading expert on gut health and I include 2 other notable interviews of her. Chris Masterjohn is one of the most knowledgeable people on the planet on the topic of food and nutrition. Make sure that you take the time to track down his 78 page nutritional “cheat sheet“. It is a steal for price. I have printed it out and it sits close to my reading chair. to protect us from the government (the people that are supposed to be protecting our rights, but don’t) and to pay for web hosting and ecommerce fees. Think of this as yet another hidden tax from a government that already taxes you at 50% or more. The renewal date for memberships will be January 1st of every year. Those purchasing an initial membership after July 1st, will get the months left in the current year plus the next full year for their membership price. Family memberships tentatively will be $49 per year and $24 a year for single people and those in financial need. Please consider purchasing a membership early when they are offered as without the funds we will not get off of the ground. Consider it a gift of love for your fellow man, if we don’t have a wide breadth of goods when we first get going. Selling online has substantial time and money investments and the club will markup any ware that it handles (online or not) to cover costs,and salaries. I have looked at John Moody’s food co-op book to give me ideas. If you want get in on the planning, I suggest that you take a look at it also. It is linked in the “resources”post on this site. WHAT FORM WILL WORK IN THE STARTUP PHASE? How about a weekly, PRIVATE farmers market? Where one can order in advance, online. The “farmers” could even drop off their orders the day before and not be hassled with an actual farmers market and the time involvement. Perhaps the club could take things on consignment for the farmers that want to just drop things off and go. I am thinking of a one time yearly fee for selling at the farmers market, on top of the club membership. Something in the order of $200 a year, but remember that the club takes no cut on this type of sale. Unlike commissioned farmers market sales or the online sales. Alternately we could charge a small setup fee for each vendor, and or charge a small transaction fee based on sales. This market will also be for any member that has a hobby such as making kombucha, kimchi, kefir, cheese, even non food items, to sell, barter, orgive away. I want to encourage lots of small artisan food producers to participate. Any member will be able to participate as a consumer of any of the wares offered, they may sell exclusively online, the may sell exclusively in farmers market style, the can sell at the farmers market on consignment, or they can sell to anyone anywhere. I am 110% free market folks, unlike ANY of the farmers markets in the Springfield area. Long term I envision dozens of artisan food producers & small farmers, to be producing such an abundance of local healthy foods, to such a degree that one could completely eschew the the eugenics distribution sites that are euphemistically called grocery stores. Most will be selling online, and will deliver sold goods every week to our distribution point. At this central location members will be able to participate in a weekly, year round, members only farmers market. Members will be able to sell food products that they produced, or other food products and goods obtained elsewhere, just as long as their is full disclosure that they were not produced by the seller. People could for instance re-sell cheeses obtained at Shetler’s discount grocery. People that do not want to stick around for the Farmers Market can sell though the club on consignment. We will be free to offer a restaurant type venue, that may be only once a month for pre-sold dinners, or may be open several days a week for drop in business. Things such as say wines for the dinners may be produced and provided for these member only dinners. Members may be able to organize and sell their own restaurant style meals by renting the facilities for a day. Finally I envision a s small store on the premises where, in addition to online sales, & the farmers market , club members will be able to stop by and do some shopping on an impromptu basis. To make things easy on everyone, I am going to suggest that members be encouraged to deposit working funds into a credit account with the club. Perhaps your estimated monthly purchases would be a good amount to begin with. (not sure how well this would integrate with online sales) That way we can afford the time and money hassle involved with taking credit cards, which by the way if you are Christian is immoral (it’s unarguably stealing (we can discuss this further in the comments below if you are interested) but don’t expect your pastor to be bright enough to see this fact, as I have not met one yet that does. The only other method of payment will be exact amounts of cash. When using cash do not expect change, if you are over the amount of the purchase, the extra will go into your club credits, that can be used for future purchases. Also rather than having vendors being responsible for making sure that everyone there has a current membership, and taking money, I would like to have a system where people spend their credits, and if they do not have enough, that they centrally purchase them as they enter the farmers market. Thanks for hanging in there this long.